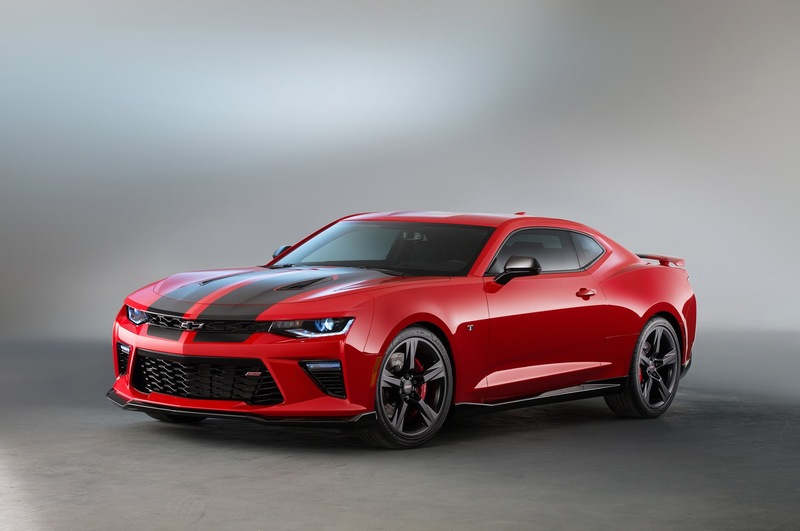 Chevrolet is taking the 2015 SEMA show as the perfect opportunity to showcase the laundry list of accessories for the 2016 Camaro, seen in the Camaro Red Line concept, Camaro Red Accent concept and now the Camaro Black Accent concept. The 2016 Chevrolet Camaro Black Accent concept takes the opposite approach of the Red Accent concept, beginning with a Red Hot exterior paint color, and adding appropriate black splashes for what the brand calls a decidedly more “tuner” look. 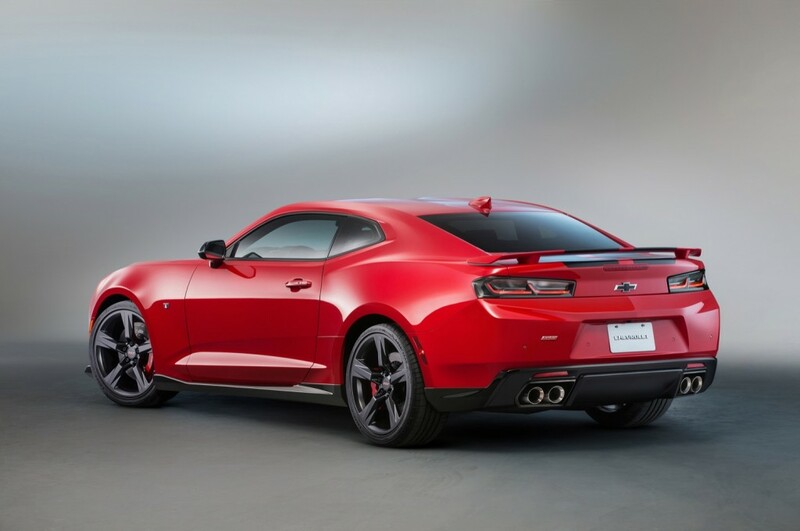 The 2016 Camaro Black Accent adds black ground effects, darkened taillamps, satin black rally stripes, black bowtie emblems and black 20-inch five-split spoke low-gloss black wheels to tone down the Red Hot hue in a sinister looking fashion. The interior cabin sees plenty of darkened accents, too. The Jet Black leather-trimmed interior receives black interior trim and knee pads, SS-logo premium carpeted floor mats, a suede console lid with the Chevrolet Performance logo and red stitching, and sport pedal covers. But, the brand has still taken the time to add a few go-fast pieces as well. A performance suspension lowering kit and Brembo front brake package – with red calipers – completes the Black Accent look. Chevrolet will show the 2016 Camaro Black Accent alongside a host of additional concepts and accessories at the 2015 SEMA Show in Las Vegas, kicking off November 3. The blacked-out grille looks like the new cheapened Toyotas. I prefer the origina grille. When is the 2016 Camaro hitting the dealer lots? I’m not talking about these SEMA editions. I am referring to the 2016 Camaro LT and the SS. anyone have an idea, I cant find any articles on it. They will start being shipped by the end of this week. Should be showing up at dealerships no later than the middle of November. The suspension lowering kit is a deal breaker for me unless a customer is allowed to skip that particular item. Muscle cars are already too low and our roads too populated with bits of blown truck tires and other debris that at highway speeds would cause considerable damage to a car’s underside. Combined with concrete parking lot barriers and concrete curbs higher than the front end of the car, you would be dishing out money all the time. Yes, I know, the driver should be more alert. But show me any driver that says they are 100% focused on driving, 100% of the time, and I will show you a liar. I like the new Camaro a lot. But very disappointed that it does not have adjustable lumbar seat support. The rear spoiler is also from two decades ago, which is very strange given the last Gen spoilers were so nicely designed. SEMA shows are supposed to be about excitement and innovation; but when your car is brand new, it’s difficult to try outdoing yourself with a new special edition model which means that the cars can’t really be much more than just about paint and trim as it’s too early for Chevy to introduce a Camaro with a LF4 twin-turbo 3.6L V6 or hybrid yet. General Motors are predictable in almost everything they do; but sometimes doing the unexpected can cause a lot of excitement like plugging in an updated direct injected 7.0L V8 which would potentially make the Camaro as fast as the Corvette Z51.